Do you wear eyeglasses? If the answer is ‘yes’, then do you know how eyeglasses work? Let me tell you about that. Eyeglasses fix vision problems by bending incoming light rays and make them focus properly on a particular point on your retinas. The stronger the prescription, the more light-bending is required leading to thicker lenses. Now, let throw some light on high index lenses. Different materials are used to make eyeglasses. Some of those materials are more efficient in bending lights than others which mean it take less of one material to bend the same amount of light compared to other materials. “Refractive index” is the name of the measurement of this property. Refractive index is directly proportional to efficiency i.e. the higher this refractive index, the more efficient the material and vice versa. If the refractive index of a material is more than glass (1.52), only then it is considered as high-index. There are several materials with different refractive indexes, higher than glass, which are used to manufacture eyeglasses. When lenses of same prescription are compared, it has been observed that the higher the index of the material used, the thinner the lenses will be, and hence the higher price. Generally high-index lenses are aspheric lenses also which gives them a flatter, a more appealing shape allowing the glasses to fit closer to your face. This eventually reduces (sometimes eliminate) unwanted cosmetic affects seen in case of stronger prescriptions. 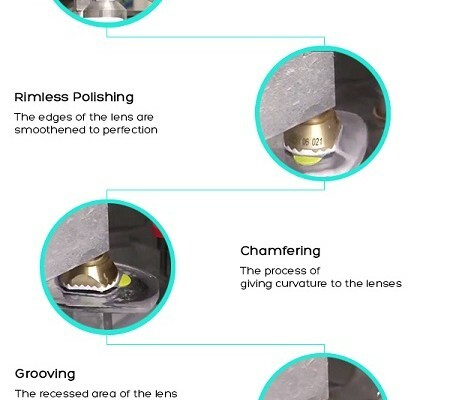 Let’s discuss about the benefits of these lenses. High-index lenses are lighter and thinner though using less material they achieve same prescriptions. It is very effective for myopic prescriptions as modern thin frames can’t hide thick edges. Earlier, strong myopic prescriptions meant thick “bottom of horlicks bottle” lenses having boring edges but the scenario is completely different today. 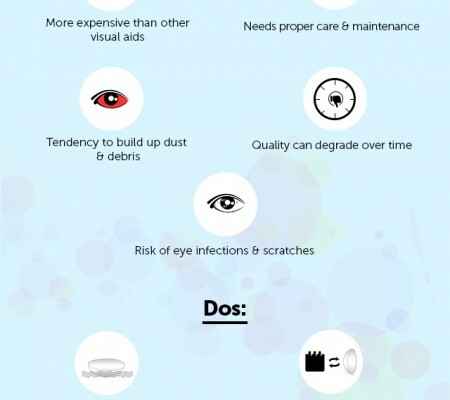 Now, if you are planning to buy eyewear with high-index lenses, then you must consult with your eye doctor first. 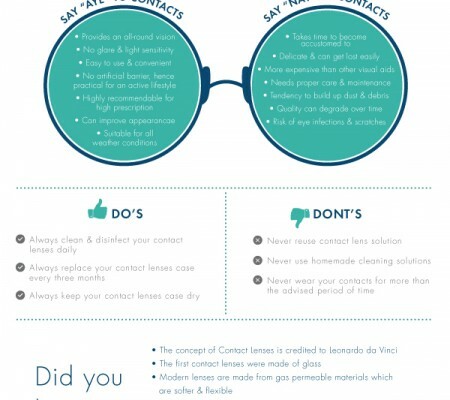 They are the best person to help you choose right lenses for you. All high-index materials are not suitable for all prescriptions. With a little help from your eye care professional, you will be able to find the pair of glasses which will not only provide you a crystal clear vision but the perfect balance between cost and thinness. Vintage eyeglasses, Polo style eyeglasses, Prada eyeglasses are some of the prominent brands for high-index eyeglasses. And don’t forget to ask about anti-reflective coating while purchasing high-index lenses. For regular glasses it is not mandatory but for high-index glasses this is an absolute necessity. As these lenses reflect a lot more light rays, therefore this coating make the glass look nice and it also eliminates any chance of distracting reflections that can interfere with critical tasks e.g. night driving. So, have the perfect pair today and enjoy a better vision with unmatched level of comfort.